A large local store has asked students to manufacture their signage. 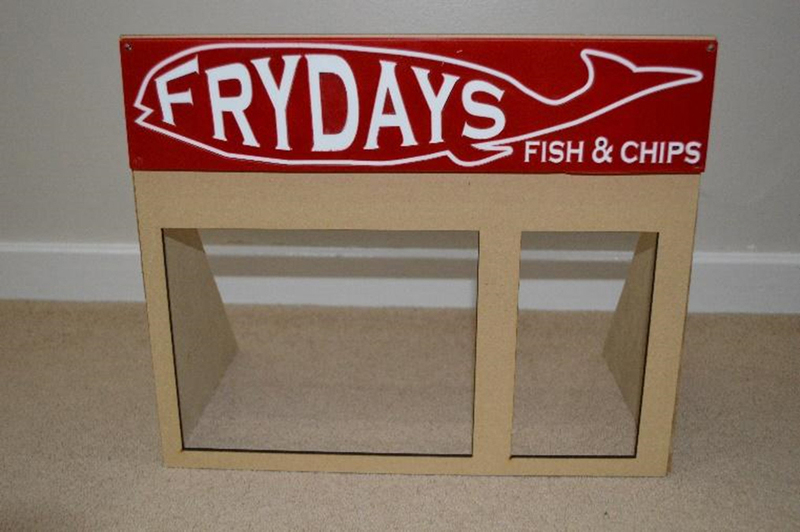 Use a digital image to then laser cut the existing sign. 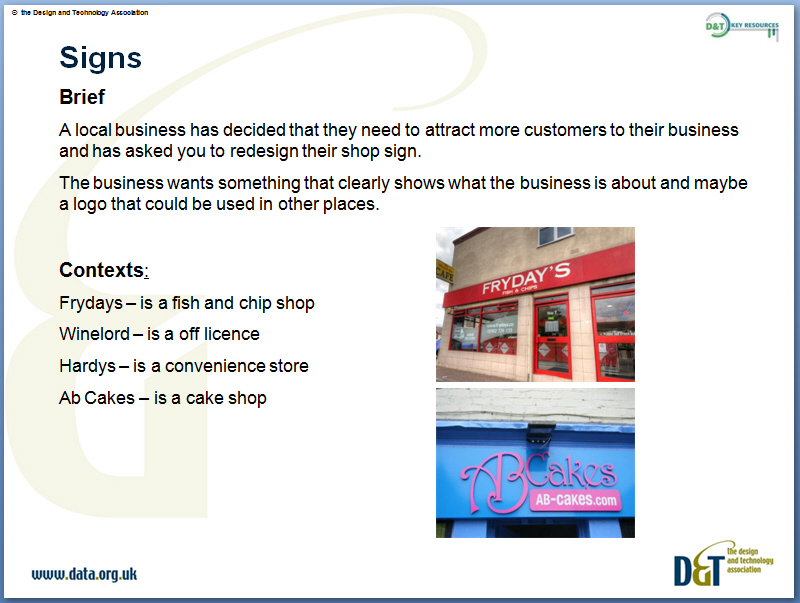 Improve on this using a specification developed with the client and make a prototype to send to company. 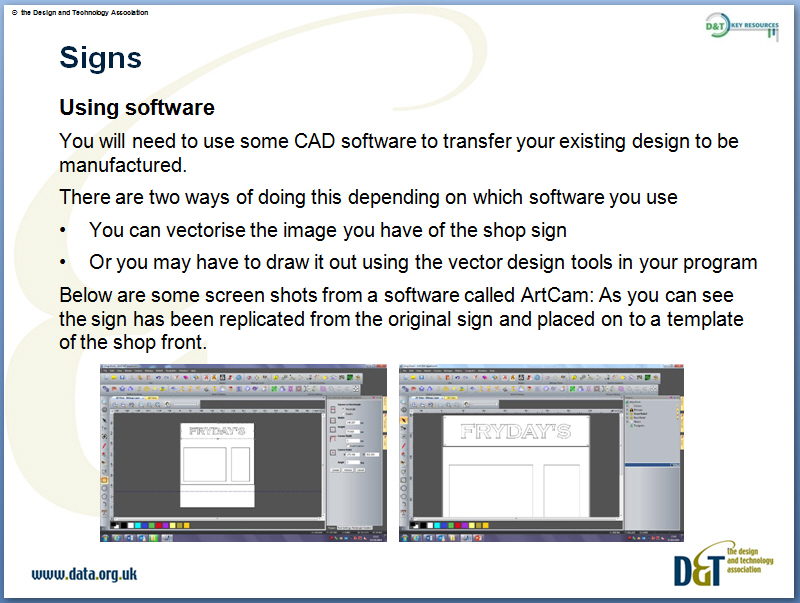 Includes understanding of signage and logos to develop brands and convey visual messages.